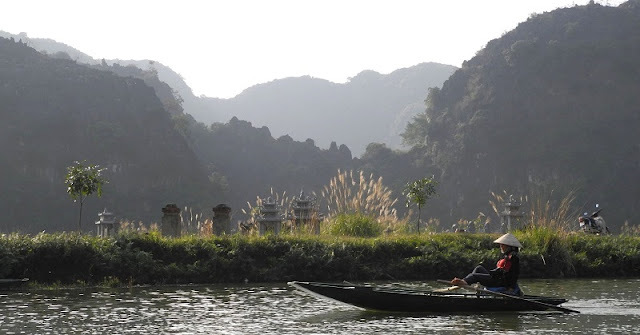 Home > Travel guide > What's special about Ninh Binh 2-day excursion? Only 90 kilometers from Hanoi, Ninh Binh is the must-visit place for every tourist who travels to Northern Vietnam for the first time. 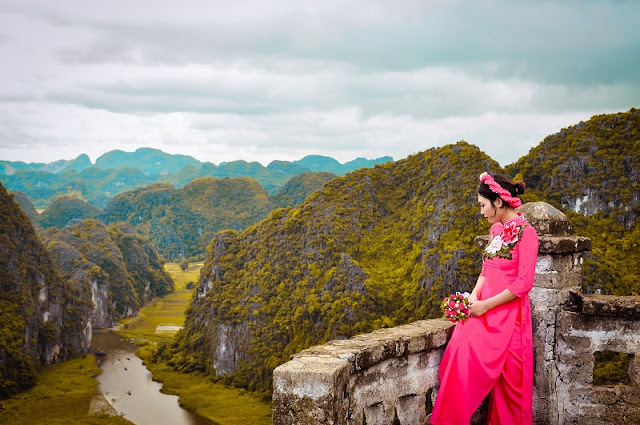 With a stunning system of limestone karsts, pristine jungles, emerald rice fields, magnificent religious buildings and unique cuisines, Ninh Binh keeps local and international tourists return from time to time. However, Ninh Binh is prominent with day trips from Hanoi to Trang An or Tam Coc - Bich Dong. So, Ninh Binh is worth the visit for 2 days? This article will give you the answer. If you spend a day to visit Ninh Binh, you will discover one or two of the highlights such as Hoa Lu, Tam Coc - Bich Dong, Trang An, Bai Dinh pagoda ... But if you spend 2 days to visit this place, you will discover more deeply about the landscape, culture and cuisine and people here. The ancient capital of Vietnam, you can enjoy strolling amongst the temples that have been erected in honour of the ancient capital's leaders. As well as offering a glimpse into Ninh Binh's significant history, the temples also showcase some traditional architecture set against some stunning backs. The main attraction here is definitely the view from the top of the mountain. Next to the cave is a set of stairs which seems to climb high up into the clouds, twisting around the edge of the peak. The trek up the hundreds of stone steps is definitely worth the effort as the view from the top is truly astounding. In one direction you can see the patchwork of fields and rice paddies and in the other direction, the towering karst peaks which fade into the horizon. This view is best enjoyed at sunset when the beauty is illuminated by the glow of the sun. The majestic dragon which guards the peak creates an amazing silhouette against the changing hues of the sky as the sun dips down behind the mountains. Bai Dinh pagoda is an example of a grand modern Buddhist complex which features a number of structures built between 2003 and 2010. The buildings have been skillfully constructed with the finest natural materials showcasing stone carving, bronze work and woodwork. The complex is watched over by a giant bronze Buddha who sits in Phap Chu Hall. A boat trip through Trang An Grottoes allows you to experience all of the elements together. 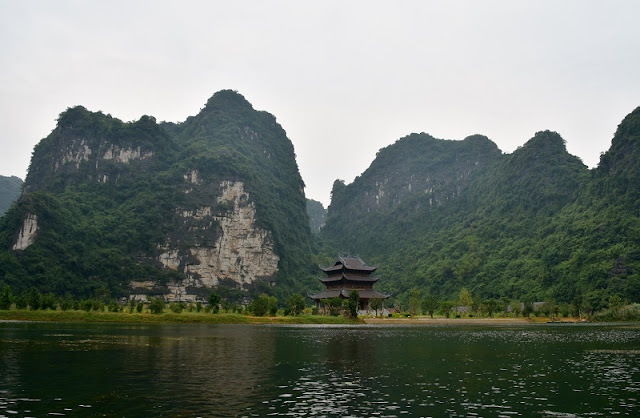 The picturesque cave and river complex was awarded the title of UNESCO World Heritage Site in 2014 not only for its outstanding beauty but also its cultural and historical significance. The journey on the small sampan takes you along the still waterways lined with lotus and waterlily. As the boats approach the rock face, they disappear into tiny openings into the water-worn caves that cut through the rock. Goat meat and com chay (burned cooked rice) are two must-try foods in Ninh Binh. 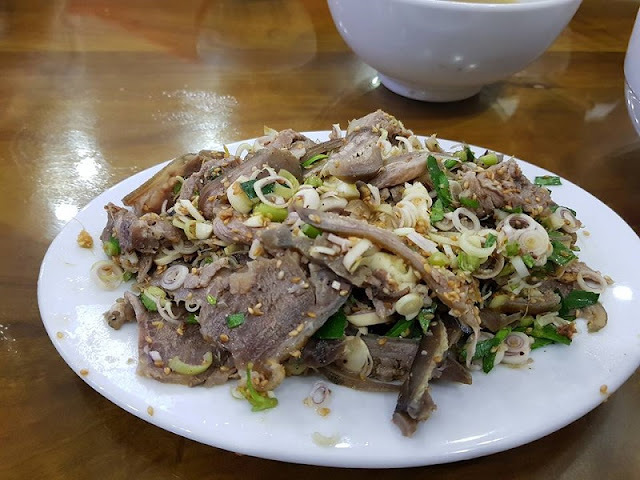 There are a variety of goat dishes in Ninh Binh: rare goat meat mixed with lemon (de tai chanh), stir-fried goat meat (de tai lan), lemongrass and coconut goat, steam goat meat, grilled goat brisket, goat hotpot, goat gruel and roasted goat, etc. A two-day trip in Ninh Binh is priceless for those seeking cultural exploration, or a peaceful retreat in nature. But wait, if you have yet to book accommodation in town, let’s contact us via email: info@vietnamtypicaltours.com ! We hope you enjoy your trip in Vietnam, and receive the warm hospitality from our people!